We are really proud of our drop zone. From our staff & fun jumpers to our location, facility and safety culture. 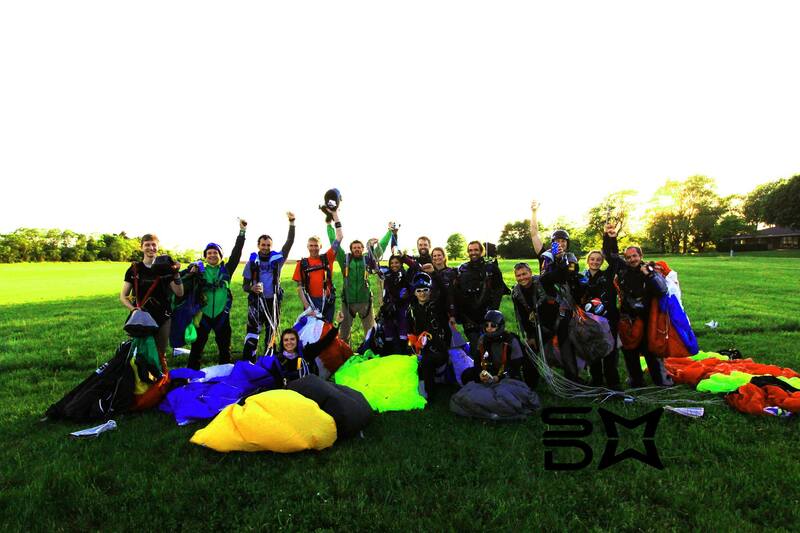 choosing skydive midwest is something you should feel good about. Safety is our priority. We have an impeccable safety record when it comes to tandem skydiving! While skydiving by nature is inherently dangerous we take every precaution to minimize the risks involved. We hire experienced and talented instructors. We jump new and well-maintained equipment crafted by the most reputable manufacturers. Our pilots are experienced and our aircraft are well-maintained to all Federal Aviation Administration specifications We have industry leaders and specialists host training seminars annually for our instructors. We are members of the United States Parachute Association and we adhere to all safety regulations. Our Community is something special. Skydiving is about more than jumping out of airplanes and more than just a job. As skydivers, we choose to surround ourselves with people who truly enjoy life and believe in making the most of every single day. From our staff, to fun jumpers, to tandem students- skydiving tends to draw people who are passionate about life. If you spend enough time at our dropzone you’ll find folks who really enjoy one another’s company and feel bonded by the freedom of flight.